As Hillary Clinton and Bernie Sanders went head to head on the debate stage in Miami Wednesday night, one question nagged many people watching from home: Is Sanders' suit brown or blue? 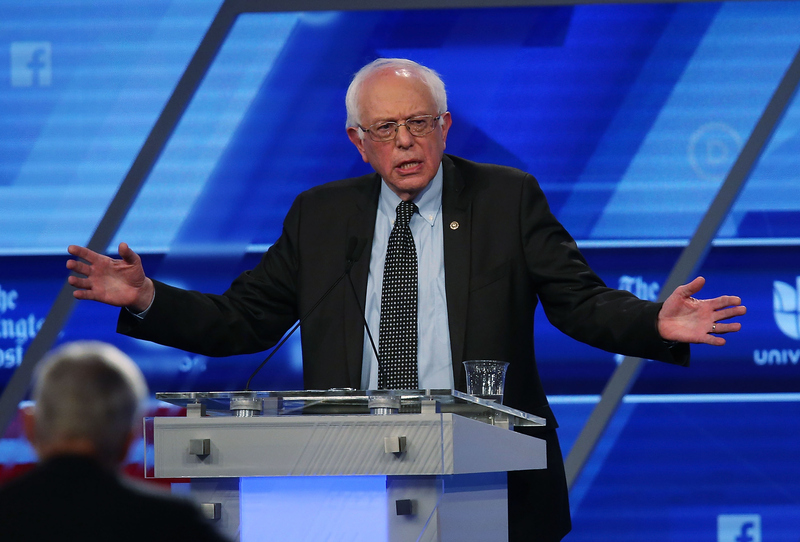 Likely due to the stage's lighting, the color of Sanders' suit looked completely different from various angles — one minute it was undoubtedly brown, and the next it was a deep navy blue. The suit debacle became really distracting, as it's frustrating to not know what you're looking at. Just like #TheDress that looked white and gold to some and blue and black to others, Sanders' tricky attire caused a Twitter firestorm. The last thing America needed was a repeat of #TheDress social media controversy, but nevertheless, one popped up in an unexpected setting. Sanders doesn't seem like the type to fuss over his clothes, so he probably didn't care (or even notice) what color his debate suit was. Unlike him, everyone watching the eighth Democratic debate had to stare at the suit for two hours, so its changing hues were very apparent. Whether or not his suit was brown or blue isn't really an important factor in deciding whether or not he should be the Democratic nominee for president, but man was it confusing. Here are some tweets that prove just how much the issue took over during the debate. Hopefully Sanders will issue a statement clearing up the problem, because America really needs to know — blue or brown?